Here are the four items you should buy YOURSELF for Christmas this year. Your hair will thank you! If you are not already using a boar bristle hairbrush, you need to seriously check yourself, lady. A boar bristle brush is probably the most popular tool any hairdresser has in their possession, yet I know so few women that have one at home. This is a brush that helps keep hair looking like you've come straight from a salon, no joke. If you've been brushing your hair with a £1.99 plastic thing you bought at your local drug store, you're eyes will pop out of your head the first time you use a boar bristle brush. First of all, a boar bristle brush actually helps in keeping the hair healthier and cleaner by distributing oil from the scalp all the way down the length of your hair. This also means that frizz and breakage become a thing of the past. Glory days ahead, people. Now, it shouldn't be used on wet hair. You should have a wide toothed comb in your possession to do this. But, it is a great tool to have in combing out curls - I find it makes my curls last ten times longer. The boar bristle brush also cuts down on the need to shampoo as frequently - again, because it's distributing that oil that's otherwise just building up on your head! For me, there is only one brand to trust, when it comes to hairbrushes and that's Mason Pearson. There's a reason they've been making hairbrushes for over 125 years. They have the marketplace cornered. Ask any woman that owns one and she'll tell you it's more or less her best friend. I had one for 15 years, until I lost it on a business trip. It took me a good six weeks to recover, regroup and reorder. It was like breaking up with a boyfriend and getting a new one. I almost felt as if I were cheating. But, my hair literally went to sh*t without it. So I had to reinvest. I'll warn you, they aren't cheap. However, you will buy one and that will be it. There will be no need to buy another in your lifetime. I kid you not. They are that good. So, replace your hairbrush right now. No excuses. 2. Buy the Dyson Supersonic Hairdryer immediately. You will not regret this. I have never ever been one to spend a lot of money on a hairdryer. I basically buy whatever is on special and then replace it when the fan burns out. I've never thought much of it. Then, I met the Dyson Supersonic Hairdryer. If soulmates can be found in an electronic device, then I've most certainly met mine. Full disclosure- when I heard Dyson was making a hairdryer I thought it was the most ridiculous thing ever. Why not just stick to vacuums? Oh, how closed minded can I really be? I ended up using one at a hotel in Bath, months ago, and more or less instastoried my way through the entire experience as I couldn't stop talking about how miraculous it was. As a machine, it's fantastic. It's sleek looking, it's powerful and it's also impressively quiet, as far as hairdryers go. As an aid for your hair, there is no match. I have long, thick and rather difficult hair. It usually takes me about half an hour to rough blow dry it and then I will most likely use an iron to give it a bit of straightness and shine. The Dyson is all I use now. I kid you not. It cut my drying time in half, gives me a rather straight and super shiny finish, and has a rather impressive cool shot to lock in the look for the day. Now, this device is not cheap. It is around £299/$399. It's not something that is an impulse buy, because of this. But, for a lot of us, time is money. The amount of time you will save owning a tool like this is much more than what you are paying for a one off cost. This is the device you will never regret owning. It is the game changer and Dyson deserve every award they've won with this new invention. I cannot emphasise enough how wonderful this piece of kit is. I'm trying to, but you need to try it to believe it. If you need further incentive, there's a video in the link explaining all! This is most likely not the first time you've heard of this product. I'm pretty sure it's won more awards than any other haircare item out there, and with good reason. It was also originally developed for Audrey Hepburn.... if you can believe that! 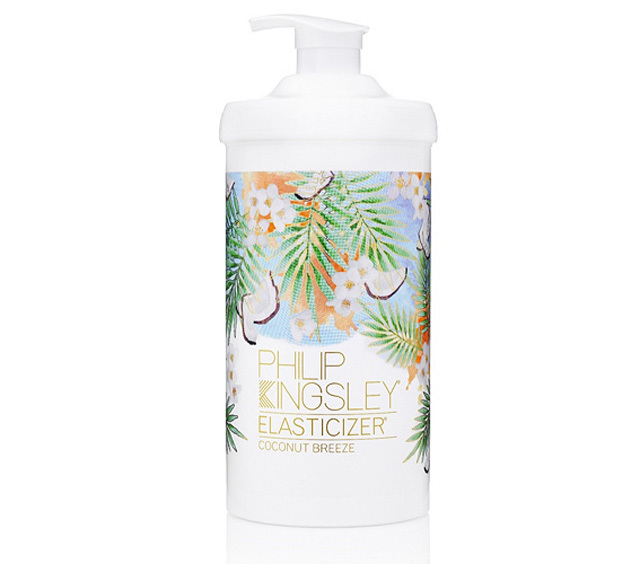 Philip Kinglsey's Elasticizer is the only hair mask I use at the moment. I use it religiously, once a week, after it was recommended as an essential tool for managing my hair while I was trying to grow it to insane lengths once again. This weekly mask basically turns easily broken strands of hair into Stretch Armstrong. It gives your hair the strength to survive day to day wear and tear without breaking down and fading away. It therefore gives your hair the ability to grow and grow beautifully. Philip Kinglsey's Elasticizer has been tested on just about every variety of hair and is proven to improve the quality of every user, whether your desire be for softer, silkier hair or fuller and bouncier hair. It's basically the hair gift that keeps on giving. Again, it's a game changer. Again, if you need proof from the experts, watch the video in the link. I try to eat as healthy as I can, drink plenty of water (which is key) and also make sure my diet is protein rich - all things required for healthy hair. But, I also take vitamins. I've tried a couple over the last couple of years and have even written about a few here and there. However, this past summer I discovered some super easy, and super cheap, vitamins in my local Walmart. I'm keeping it classy, people. The bottle is less than $8 and will last a month. 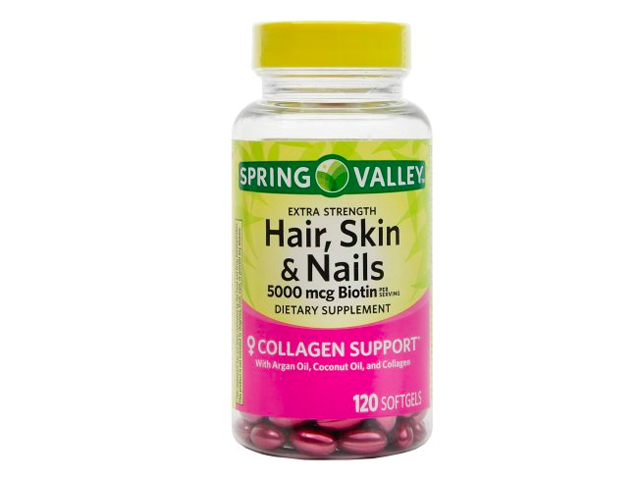 I bought the Spring Valley Extra Strength Hair, Skin & Nails with 5000mcg Biotin. Obviously you need to find what works for you. But this is just to say you don't need to spend the world. Also, make sure if you have any health issues, you clear the supplement with your physician. Just saying! Be careful and always double check. Better safe than sorry! 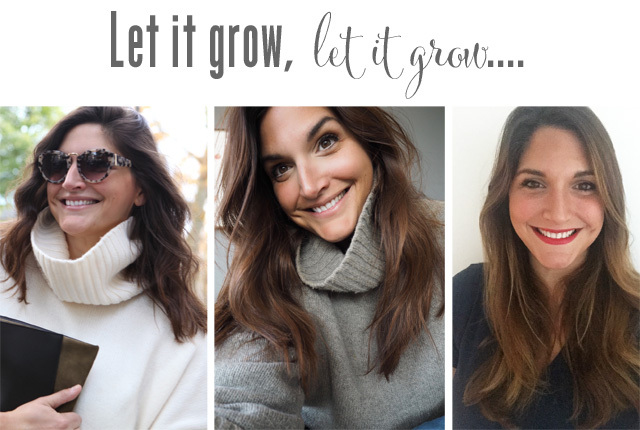 I know I've given you three big investments here in the hair, and one smaller one, but please trust me that they will quite literally change your hair. Yes, keep investing in the skincare, and keeping up with your daily regimes. But don't neglect that beautiful head of hair. Get ahead of the game, and manage what you've been given now. Whether you are 20 or 60, it's never too late! Each and every one of these items is a tool that is good for life, not just a casual romance. Alright, lecture over. Get involved, lovelies, and showcase that glossy mane! 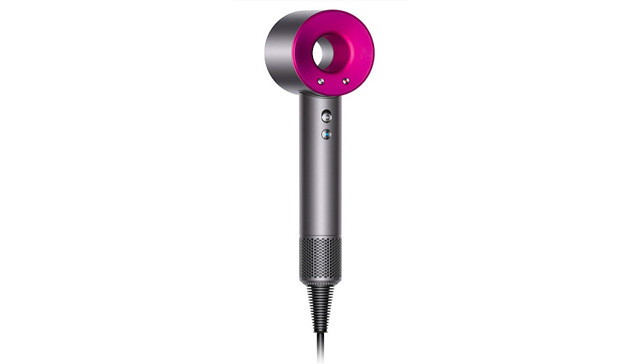 FFG is an ambassador for QVC UK and was gifted the Dyson Hairdryer and Philip Kingsley's Elasticizer from QVC UK.